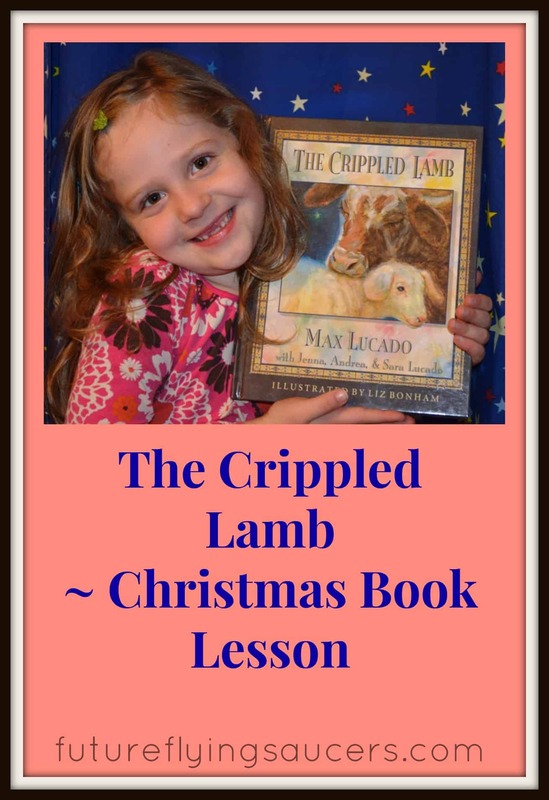 The Crippled Lamb ~ Christmas Book Lesson | FutureFlyingSaucers. Books are great conversation starters, and this one is no different. The Crippled Lamb by Max Lucado can be found at your local public library or church library. ** If reading this book to a group of children, be sensitive to the fact that this deals with physical disabilities, being an orphan, and feeling left out. Talking about God’s sovereignty, purposes, and goodness can be hard ideas for children to grasp, but they need to be talked about. Children need to hear that – no matter what – God is always near. Children need to hear that – no matter what – God always has a plan for His children. Children need to hear that – no matter what – God is good, even when we do not understand. 1) Read The Crippled Lamb: The baby lamb, Joshua, doesn’t understand why he has a crippled leg, spots on his wool, and no mother and father. But his friend Abigail continues to tell him that God has a special plan for those who feel left out. As you read the book, God’s plan for Joshua unfolds. What was the lamb’s name? Why didn’t Joshua get to go to the new hill with the other sheep? What woke up Joshua and Abigail? What did Mary call the baby? What did the man bring to Mary? What did Joshua do to help the baby? Who came back to the stable? What lesson did Joshua learn? Why did Joshua feel lonely? How did the other sheep treat him? Has anyone treated you that way? Have you treated others that way? What truth did Abigail repeat to Joshua? What was the dream that Joshua dreamed? Why did Mary say that the baby was the answer to his prayers? 3) Discuss the biblical solidarity of The Crippled Lamb – This book has one thing that is incorrect. When the shepherds arrived at the stable, where was the baby Jesus? Use your Bible to figure out “where” Jesus should have been to make the story biblically accurate. 4) Role Play Parts of The Crippled Lamb – If you have a stuffed lamb, use a stick and a piece of cloth to show that it has a hurt leg. Use a stuffed cow, or cow image, to represent Abigail. As you read through the book, use a nativity scene to act out the Christmas story. This story lends itself to some wonderful conversation. Another good book to use for discussions about being “different” and yet wonderful, I highly recommend The Junkyard Wonders by Patricia Polacco. 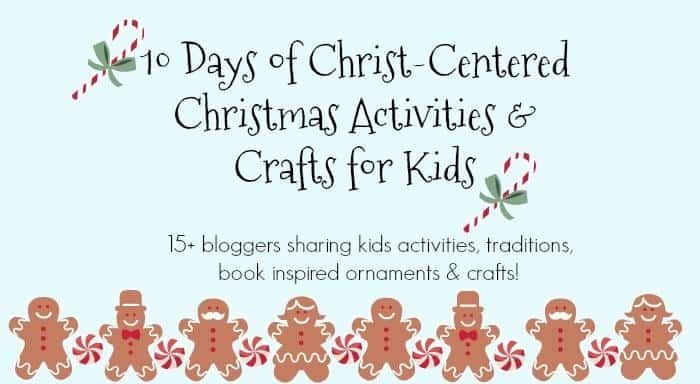 Our 10 Days of Christ-Centered Christmas Activities & Crafts blog hop is filled with lots of fun activities for the family. Our Fabulous bloggers are Inspired by Family, Chaos & Clutter , Paradise Praises, Encouraging Moms at Home, Crafty Moms Share, Thinking Kids Blog, Teach Me Mommy, Proverbial Homemaker, Suburban Soiree, The Awe Filled Homemaker, Future Flying Saucers, Adventures in Mommydom, Spark and Spook, Talking Mom 2 Mom, Clarissa R. West, Pichea Place & Homeschool preschool. You can visit Inspired by Family blog for the full schedule of activities.